"Big Boy Pants" and loves the fun designs. My toddler has been great about telling us when he needs to use the potty. I also find that he has been able to hold his tinkle for longer periods of time and just recently woke up one morning with a dry pull up. Now, that is a major accomplishment! 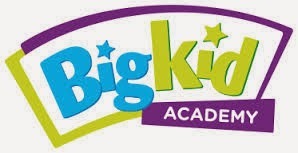 All the tips and tools from the Big Kid Academy has really helped us along our journey with the potty. I also loved that they have a section devoted to parents where you can read up on everything from potty training readiness to what type of potty is best for your child. You can also find more info on Huggies Facebook and Twitter pages. Did you know that Huggies also has a Big Kid App which is available on Apple and Android. It offers a big kid checklist, along with songs and games that my little guy really enjoys. My little guys favorite is the Disney Call in which a Disney character will send him a special message when it's time to use the potty. I love the checklist and big kid timer so when it's time to use the potty you will get a pop alert on your phone. Everything about this app is fantastic! 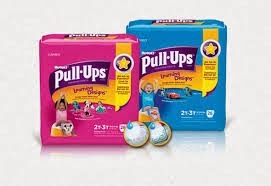 It helps make the transition of diapers to big boy pants fun! Be sure to check it out!